Here are few pretty spring gifts I made for the March 8 day. These are cute little handmade gifts for women and I used decoupage technique or paper to craft them. This is a small foam heart on a stick. 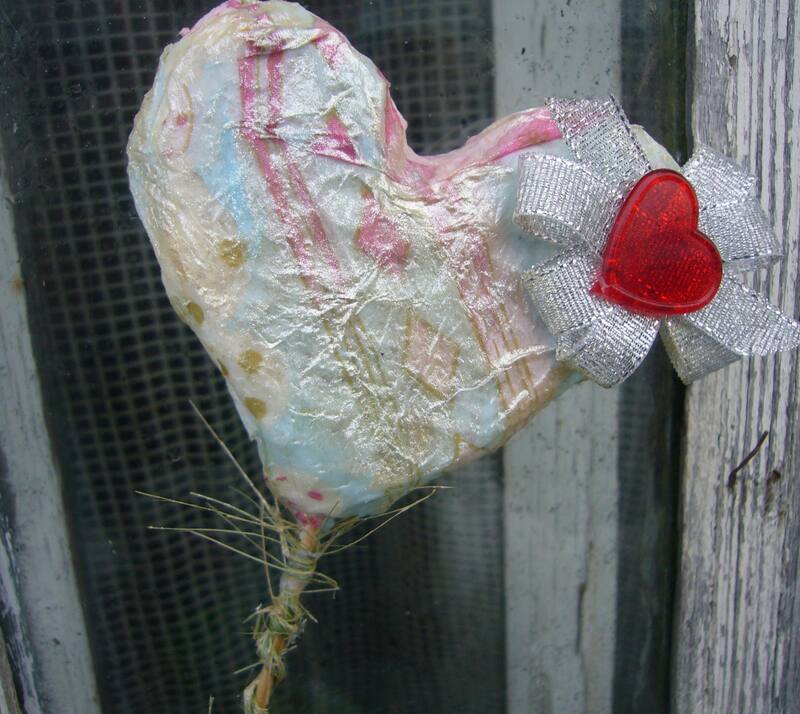 It is a foam plastic heart decoupaged and it has a candy attached to the stem. This is another glass bottle decoupage idea. 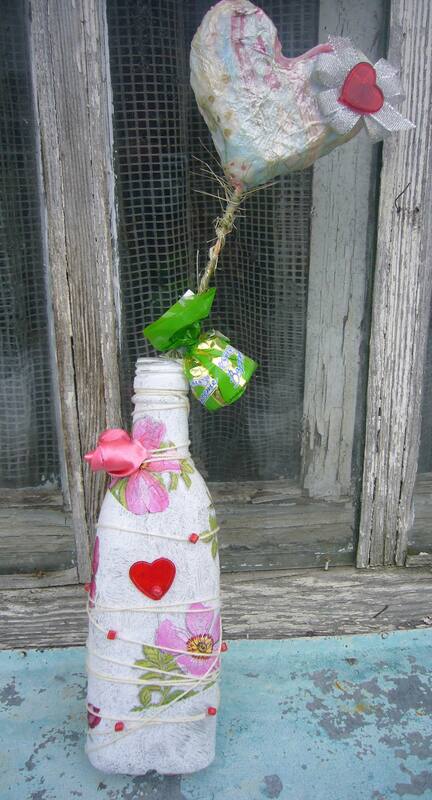 This bottle is not only decoupaged with pink wild roses, but I also used some yarn and beads to decorate it. I have also made two tiny rolled ribbon roses for it. This set you may find in my Etsy store recycledcrafting. 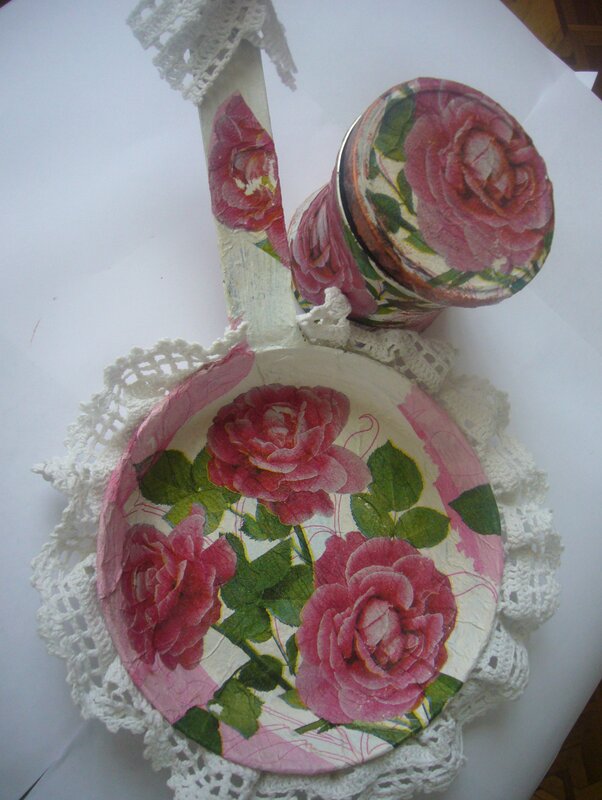 It’s a small vintage Soviet pan decoupaged with roses and adorned with old lace. It can be used as a wall decor item or as a photo frame. It is coupled by decoupaged and upcycled coffee can. 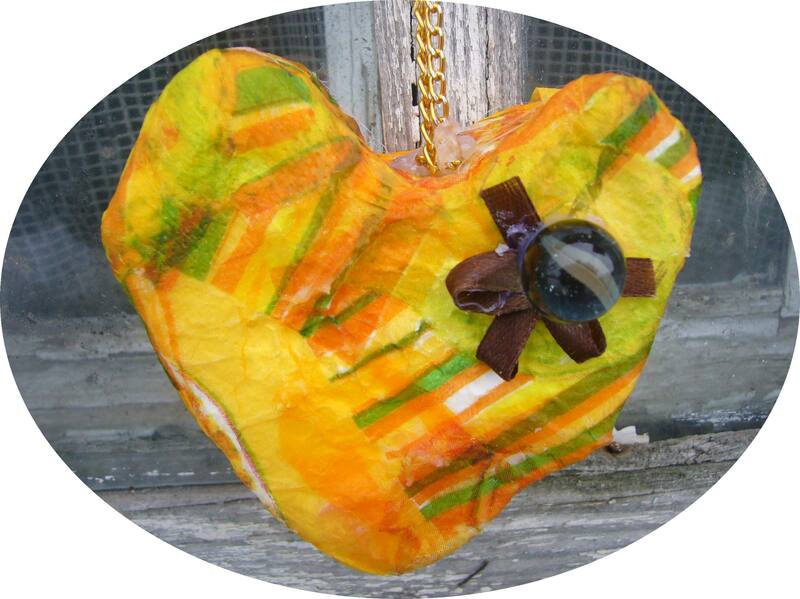 This is an orange foam plastic pin cushion decoupaged with napkin. I like the foam cushions more than I like fabric ones. It’s easier to stick the pins into it and they get better secured there. If you drop such a pin cushion, only few pins if any would fall out of it. It’s really easy to make, too. And it makes a great handmade gift. I hope you enjoyed by decoupaged ideas and spring projects. You are welcome to leave a comment.